Here is a simple design that I think works over and over. The simplicity of it lets the focal image shine. No telling what all could go in that cut out circle!! 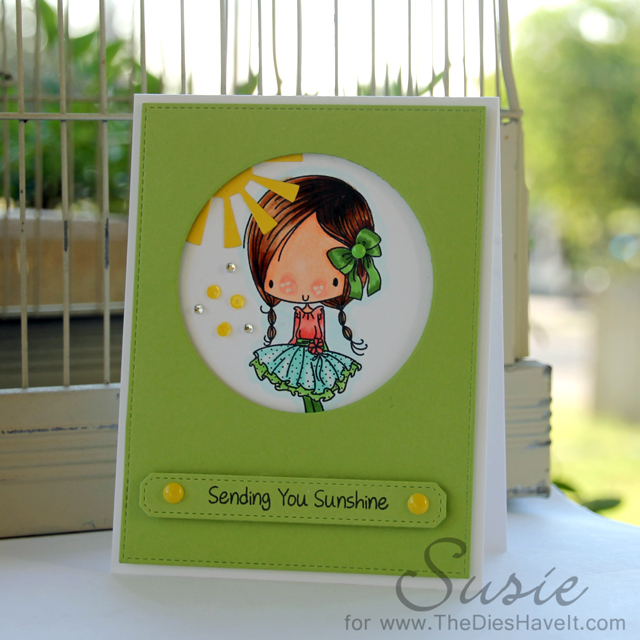 This time I used a stamp from MFT Stamps. She is just a little cutie and you can find her right here. There are two little dogs in this stamp set too. You have to go take a look. They are adorable!! So have a sun-shiny day and I'll see you tomorrow!